Want to make that expensive jersey last forever? Here’s how you can make it happen. Let’s be honest, official football jerseys are expensive, and we mostly wear them only when we’re playing football. Running around in a polyester shirt can make you sweat a lot. And what’s worse, it’s even harder to get the smell of sweat to go away. Then there’s the threat of it losing colour, or shrinking as well. If you really want your jerseys to last forever, here how you can do it. 1. Never throw your jerseys in the washing machine with other clothes. Jeans, T-shirts, and any other cottons are a no-no. Coloured jerseys can be washed together but any white patterns could get leaked on so try and keep the whites separate. 2. Always turn your jerseys inside out before washing. The printed numbers and badges can crack and the colours can fade faster if washed otherwise. Make sure you’ve also unbuttoned them if there are any buttons. 3. Avoid using warm or hot water cycles. As far as possible, use a cold wash to keep your jerseys in shape and to make them last long. Bucket wash them in cold water if they’re not too dirty to give them a little longer lifespan. Note: All synthetic jerseys bleed a little so you want to make sure your lights and darks are separate. 1. Synthetic materials generally dry faster than cottons so your jerseys do not need much time to dry up so avoid dryers. Hang dry them on a clothesline or a clothes-stand to keep them in shape. 2. If you need to expedite the drying process, you can use a hair dryer on the cold setting and blow air at the wet areas. 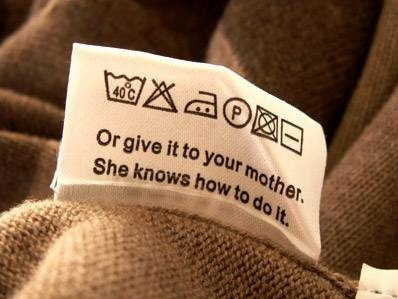 In the worst case scenario, you can put them in the dryer, but again at a low heat setting. 3. Synthetics tend to lose shape when heat is applied so never iron on your jersey. Putting it up on a hanger while it dries is the best way to keep it crease free. 1. Baking Soda is a great absorbant and can remove any odors from your jersey. Fill a bucket with clod water and add a small scoop of baking soda to it. Mix it well to make sure there are no clumps of the power and then put your jerseys in. Let them soak in the water for 30-60 minutes and then dry them. 2. White vinegar is another common household item that can soak up smells. Follow the same process as with baking soda – using a bucket of water and white vinegar to remove any lingering odors. 3. If you’ve got light coloured or white jerseys, you can also try a hydrogen peroxide soak for 60-90 mins. Hydrogen Peroxide is also a minor bleaching agent so you want to keep your dark colours away from it. Make sure to wash your jersey after the soak as hydrogen peroxide can irritate the skin. 4. One of the simplest, and most obvious deodorizing tricks is air-drying. 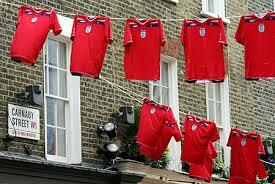 Once your jerseys have been washed, leave them out to dry in direct sunlight. The combination of fresh air, UV rays and open space will get rid of any smell and also neutralize any odors.